What to See and Do in Quy Nhon – A Two Day Itinerary! Quy Nhon offers what most coastal cities are known for: snorkeling around the islands, sunbathing on beaches, and eating fresh seafood. However, this city is a little different. Known for its tranquil and local atmosphere, it’s perfect for laid-back travelers and those wanting to escape bustling cities. As a small coastal city in central Vietnam, Quy Nhon is a tranquil place where you can escape from busy daily life and crowded touristy streets in Binh Dinh province. Numerous beaches, islands, lagoons, and fishing villages are not far away from the city. Therefore, you can easily ride a motorbike around and explore as many beautiful sites as possible. It can take up to a few days to fully explore the area. I have compiled the most outstanding places into this two-day itinerary, so you can have the best experience in the shortest time. 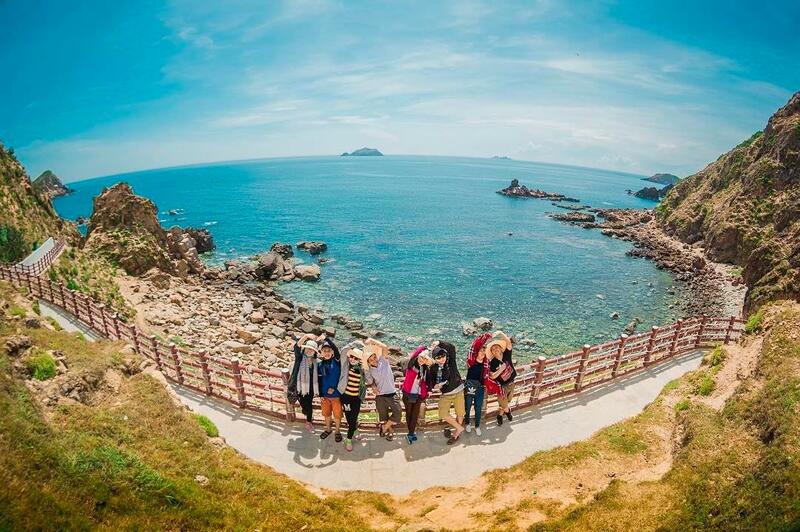 Let’s start your first day in Quy Nhon by visiting Ghenh Rang, one of the most beautiful spots in Binh Dinh province. 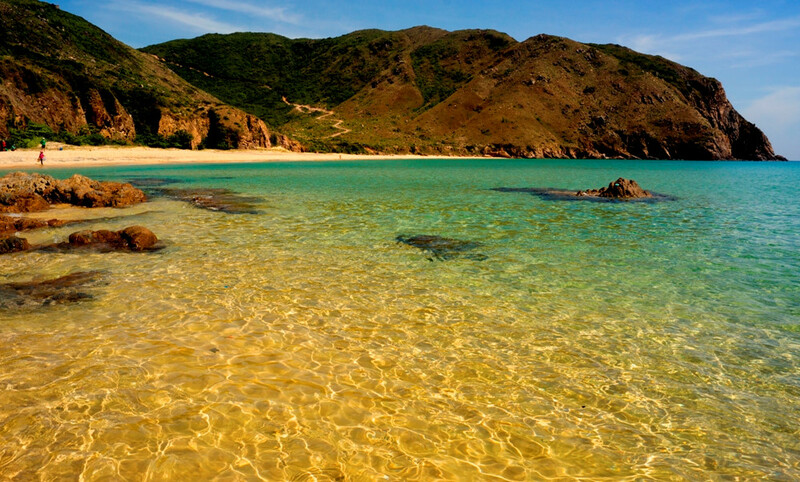 It is located in Ghenh Rang ward, three kilometers away from Quy Nhon city. There are many famous locations in this area that you shouldn’t miss. Bai Tam Hoang Hau (Queen beach) was the place where the queen Nam Phuong, the last queen of feudal Vietnam, chose to make her own private beach. The egg-shaped rocks are stacked under the cliffs creating an amazing and unique scenery. Walk with the bare feet on these egg-shaped rocks, feel the wind flowing through your hair, observe the vast blue ocean, and take a long swim in the pellucid water. Tien Sa beach is dominant with green pine trees, white sand, and clear blue water. 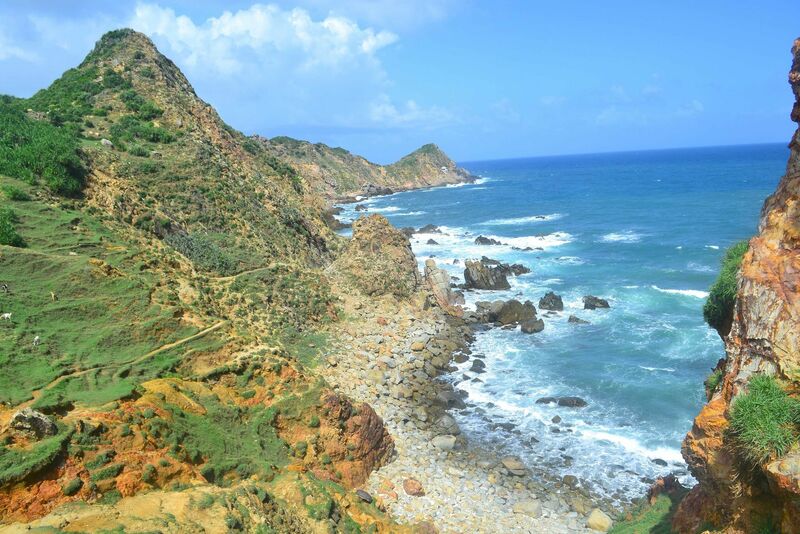 From Tien Sa beach, hike to Ghenh Rang peak to see the beautiful sight of Quy Nhon sea. The deep blue ocean, green mountains, and high blue sky combine together to create a charming picture. 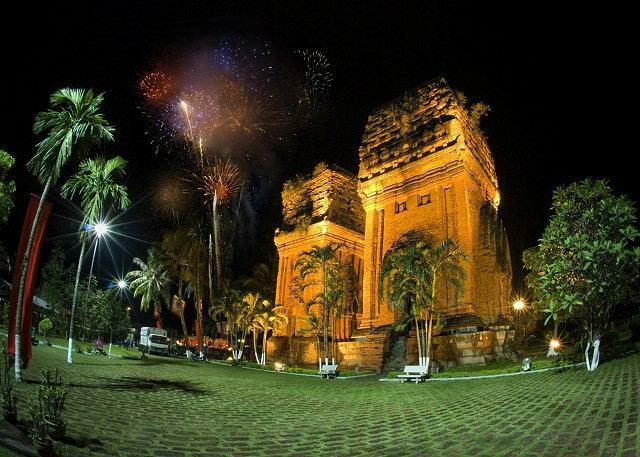 In the area of Ghenh Rang, you will have the opportunity to visit the tomb of a famous Vietnamese poet, Han Mac Tu. He spent his last years in a leprosy hospital in Binh Dinh province. Several of his immoral poems were written during this time. The tomb was built and restored regularly to commemorate this talented poet. This place is surrounded by a lot of green trees and has poetic scenery which is suitable for sightseeing and taking part in history. Thap Doi, called Sri Banoi in the J’rai language, is a Champa tower located at the corner of Tran Hung Dao street and Thap Doi street in Dong Da ward. It is one of eight Champa towers left in Binh Dinh province today. The precinct is 6,000 square meters with green lawns and shady trees, an ideal place for travelers to enjoy their day. Moreover, Thap Doi Festival is celebrated in the evening of January 2nd in the lunar new year which includes many cultural performances of Cham culture. 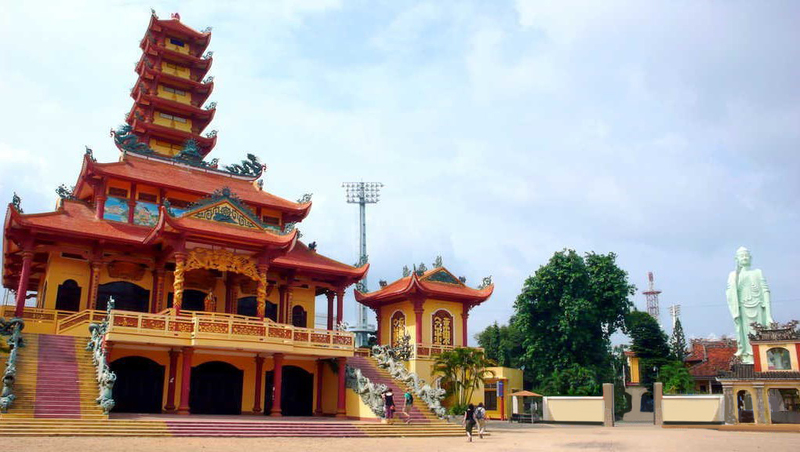 Long Khanh pagoda is located at 141 Tran Cao Van Street, Le Loi Ward, Quy Nhon city. During its long history, the pagoda has been rebuilt, but it still remains solemn and reverent in the heart of the bustling city. Built almost 300 years ago, the pagoda was constructed for the purpose of serving the Chinese community living in this area. Therefore, notice the Chinese architecture in the pagoda. In particular, the Buddha statue made of greenstone is 17 meters high and stands on a lotus platform in the middle of the pagoda. Moreover, the bell was cast in 1805, the fourth year of the Gia Long King, and it is another historical object of the pagoda. 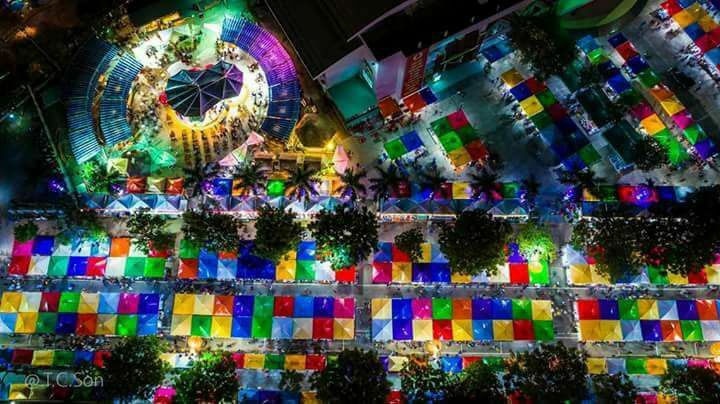 Located on Le Duan street, Quy Nhon night market is open from 5 PM to 11 PM every night. The night market has nearly 295 booths arranged into two distinct areas, including shopping and many local food stalls. Local people also like to come here every night to hang out with friends. Numerous specialties, souvenirs, handicrafts, clothes, and fashion items with cheap prices are sold in the shopping area. The food area is a nice place to enjoy a bunch of delicious dishes with a local taste. 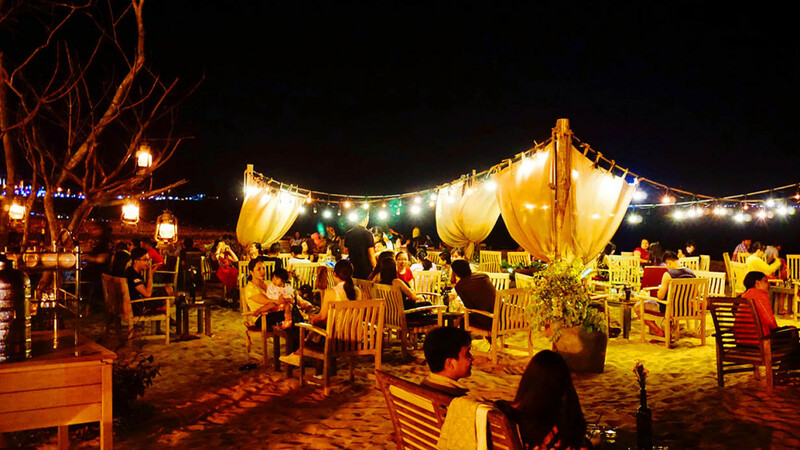 Situated on Xuan Dieu beach in Quy Nhon city, Surf Bar is attractive with an open space facing the blue ocean. The bar decoration is rustic, vintage, and eye-catching. At night, you will love the romantic scene with its decorative lights and hundreds of lights shimmering under the night sky. You only need to sit down, observe the beautiful view, feel the cool air, enjoy a delicious drink, and get rid of your worries of daily life. 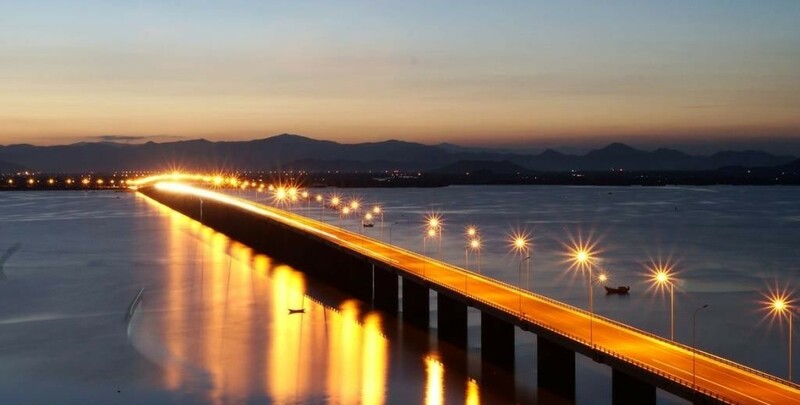 Nearly seven kilometers long, Thi Nai bridge is the longest bridge across the sea in Vietnam, connecting Quy Nhon city with Phuong Mai peninsula. Thi Nai bridge consists of the main bridge over Thi Nai lagoon and five small bridges crossing Ha Thanh river. From above, the bridge looks like a firm and long ribbon crossing the vast ocean. Riding along this long bridge in the middle of the immense sea is absolutely a wonderful experience for any traveler. This is also a great place to capture sunset or dawn. After crossing Thi Nai bridge, turn left and keep riding to Eo Gio, a famous scenic spot with pristine beauty. 20 kilometers away from the city center, Eo Gio is located in Ly Luong village, Nhon Ly ward, Quy Nhon city. Both sides of the road ride are stunning, casuarina trees and white sand beaches. What beautiful scenery! 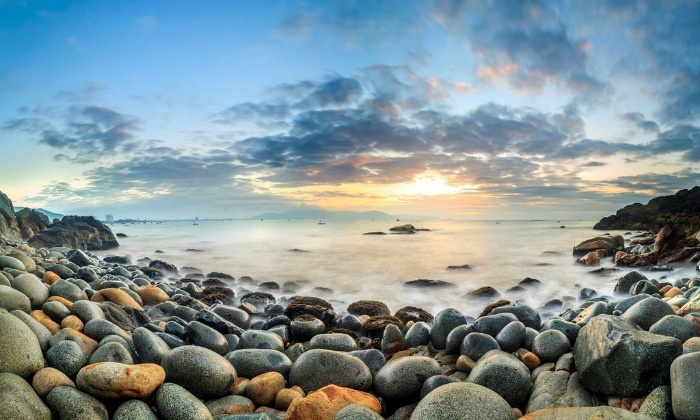 Along Quy Nhon sea, a mountain range embraces the coast for about 15 kilometers, in which Eo Gio is the farthest and most beautiful point of the mountain range. In the middle of the mountain, there are stairs with handrails where you can easily capture the natural landscape. At the foot of the rocky beach, the waves wear down the colorful stones. The stones are many different sizes and are unique to Eo Gio beach. In particular, numerous caves are around Eo Gio such as Ba Nghe cave, and Doi cave. After exploring Eo Gio, take a break at Nhon Ly fishing village nearby and enjoy the fresh seafood caught by the fisherman here. Then, visit Ngoc Hoa monastery with the statue of Quan Yin Buddha looking out to the sea, as a blessing for the peaceful sea and prosperous village. From Nhon Ly fishing village, you can rent a canoe or boat to explore Ky Co beach which takes about 15 minutes to reach. On the other hand, you can cut down the time with a motorbike. Ky Co is a special beach that has a crescent-shaped coastline with three sides facing the mountain and one side facing the sea. Big and small rocks separate Ky Co sea into many private areas with a low water level. You and your group can choose your own natural pool, then feel free to soak and play here. When the tide is down, a series of beautiful caves appear on Ky Co beach. If you have a chance, it’s really exciting to explore these mysterious caves. Don’t forget to ask the boat owner to stop at Bai Dua beach for snorkeling. With the clear blue water, it’s easy for you to watch the colorful coral and small schools of fish. After you spend most of your time on the beach, Phuong Mai sand dune will be an interesting place in the late afternoon. 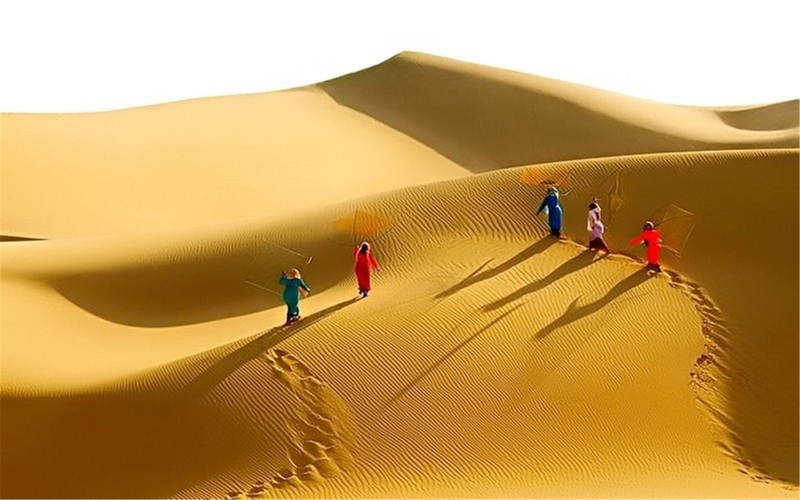 At the height of 20 to 30 meters, some parts up to 100 meters above sea level, Phuong Mai sand dune includes many connected rolling hills that stretch to the horizon. It feels as though you’re stepping into a mini desert! From this elevation, you can easily view the panorama of Phuong Mai Peninsula, Nhon Hoi economic zone, Thi Nai lagoon, and almost Quy Nhon city. There are many fun activities on the sandy terrain. The most popular activity is sliding down the sand. The sloping terrain is up to 50 meters, which means you can get going pretty fast. Try out different sand dunes with different heights and slopes for more fun. In addition, the sunset from Phuong Mai sand dunes is extremely stunning that you shouldn’t miss it. Your two days in Quy Nhon ends wonderfully with the beautiful ocean landscape and breathtaking cultural sites. Read Best Accommodations in Quy Nhon for your Budget and 10 Best Foods in Quy Nhon and Where to Find Them to find your favorite accommodations and restaurants in Quy Nhon. Keep reading other articles on our blog to know where to travel next in central Vietnam after you finish exploring Quy Nhon.